PS4 FTP IP Set to change the IP address of PS4's FTP payload. 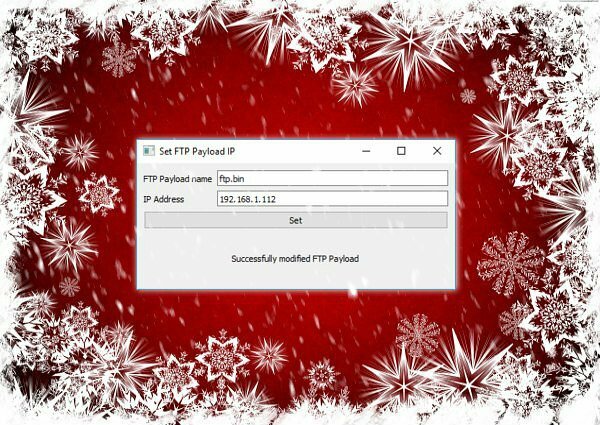 Simple program to change the IP address of PS4's FTP payload. Open FTPIPSet.exe > Enter your PS4's IP address and click on Set. Send the payload file present in the same directory to your PS4. You can use any FTP payload, however, some payloads do not have the ip address at the proper offset. So its best if the one included is used.